Sometimes it’s inevitable. You and your significant other plan a trip to Lubbock for a Red Raider football weekend or a fun festival or event, and you arrive to the last night of your trip without any set plans. The good news is the list of fun date night ideas is almost overwhelming. The bad news is that the list of fun date night ideas is almost overwhelming. So to help, we’ve included a few fun options for a night out on the town, whether you’re interested in food, culture or live entertainment. Here is your guide to some of the best ideas for a date night in Lubbock, Texas. 1. Stroll the First Friday Art Trail. Forget romantic walks on the beach. Instead, spend an evening visiting some of Lubbock’s best galleries and meet many of the artists behind the works that hang on gallery walls. On every first Friday of the month, the streets of the Lubbock Cultural District come alive with thousands of art collectors, artists and families for the First Friday Art Trail. A few of the venues that participate in the once-monthly event include the Charles Adams Gallery, The Buddy Holly Center and J&B Coffee Company. The galleries and shops usually serve wine and appetizers like cheese and crackers, and some of them host live demonstrations or hands-on activities where you can get involved. Don’t worry, if you can’t catch the first Friday of the month, there’s usually something happening in Lubbock’s art scene every weekend. Watch an interview with Tonja Hagy, avid art lover, about what makes this event so special. She also shares some of her favorite places to eat and visit in Lubbock. Of course, there’s more to Lubbock cuisine than barbecue, and if you want to go the more romantic route, there are a few great options. The Vine on 34th Street, for example, is the place to go for French fare, and its atmosphere inside features a cozy vibe with smoky red walls and a wine bar. Here, you can order seafood pasta, crepes and lamb chops, and end the night by sharing a black forest cake or razzle dazzle (raspberry and vanilla crepes). And of course, Lubbock is known for Tex-Mex cuisine, and restaurants like Abuelo’s on 82nd Street are known for authentic dishes like chile rellenos, fajitas and fish tacos. When the weather’s nice, grab a table on Abuelo’s expansive outdoor patio to dine under trees adorned with festive lights. Read more of Visit Lubbock’s Foodie Favorites blogs showcasing some of the best of Lubbock’s restaurants here. And do you ever wonder where the locals eat? Find out what restaurants the locals recommend to all their friends in our Local’s Guide to Lubbock. 3. Get cozy at an old school drive-in theater. Lubbock is home to one of the very few authentic drive-in theaters left in the country. Located off Clovis Highway, the Stars & Stripes Drive-In Theatre is a throwback to the 1950s. In fact, it’s ranked the No. 3 drive-in movie theatre in the U.S. by TripAdvisor. It features vintage signs along with a classic menu of hamburgers, hot dogs and large slushies. This is Texas, though, so you can also order the famous Chihuahua Mexican sandwich (pimento cheese in corn tortillas). The drive-in also has a walk-in arcade room. Before movies begin, catchy ’50s hit songs play from the speakers, but once the movie starts, you can tune your car radio to the theater’s channel to listen to the film. The theater screens movies every Friday through Sunday year-round and on select weekdays. Watch David Cho, the Lubbock Symphony Orchestra’s director, talk about his Lubbock faves in this Live Love Lubbock video. 5. Visit a different kind of museum for a change. Lubbock has a number of museums unique to West Texas that you can’t visit anywhere else. Take the one-and-only Buddy Holly Center, for example, with an oversized sculpture of Holly’s famous spectacles welcoming you at the entrance. The museum dedicates its exhibits to the life and legend of the late musician, and it also includes galleries of works by local artists. The center also hosts a fun and popular summer music series, with performances by local and regional musicians every Thursday from late May to early August in the Meadows Courtyard. The summer showcase is free, and cocktails, drinks and food are available for purchase during the two-hour concerts. 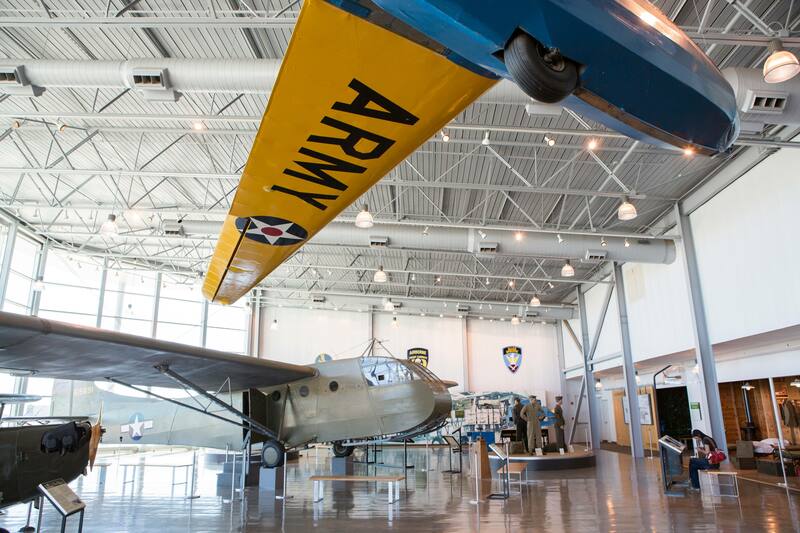 The Silent Wings Museum is a famous destination to check out troves of vintage warplanes and aircrafts in Lubbock. Most of the artifacts on display are from the World War II era and include additional photographs and a library on Lubbock’s Air Force history. The National Ranching Heritage Center is another great place to find a true Western experience. Couples will get a hands-on experience of ranching life and browse through 48 authentic ranching structures dating back to the 1700s. Finally, the Museum of Texas Tech University is an another fun place to share your passion for history and the arts. Check out some of the top posts on the Visit Lubbock blog that give you more date night ideas around Lubbock.